Mt.Phari Lapcha peak (6017m) rises from yak pastures above the village in uniform slope to the final summit. And pyramid which is an undistinguished snow and ice slope. 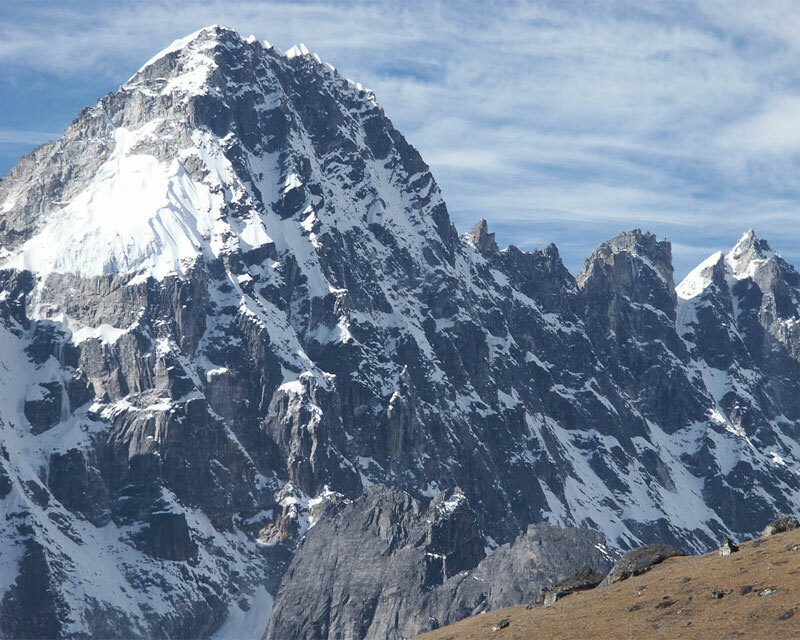 This peak is in the Mahalangur range and lies just south-east of the Gokyo Valley. Climbing in Mt.Phari Lapcha has been the most popular expeditions among the peaks in Nepal as it offers extremely challenging, alpine-style’kilometer-tall lines on steep mixed ice and rock at a relatively low attitude. Mt.Phari Lapcha peak was added to the permitted trekking peak list in 2002.This peak is a more interesting from Ongre and seen as a curved ridge, with the face above Pisang being the truncated southern end of the mountain. Mt. Phari Lapcha has a two summits and the east summit(5977m) is lower then the maintop. Sometimes it is confused with Dawa Peak (5920m) which has been called as Mt.Phari Lapcha peak west as it lies to the north-west of the main summits. Mt.Phari Lapcha peak is one of the popular climbing peak in Everest region Khumbu Gokyo Valley.Height of Phari Lapcha peak is 6017. Main attraction of Phari Lapcha peak is panoramic views of Himalayan peaks like Mt.Everest (8850m),Mt.Nuptse (7879m),Mt, Lhotse (8501m) Mt. Makalu (8475m)MtBaruntse (7720m) and Mt. Ama Dablam (6856m) etc. will vary depending on the Group Size duration of days and Services required please contact us via our email gurilamandatatrek@yahoo.com with your Details to obtain a Quot. Click here peak climbing visit more . 6.Time your trek generously taking rest while trekking is not a sign of weakness.